Any music venue is as much about it’s “back room” as it is the stage. The musicians carry all that energy from the audience show into their private retreat. It makes a sparkly vibrant environment, a place to renew friendships, warm up, get in tune and relax after the show. 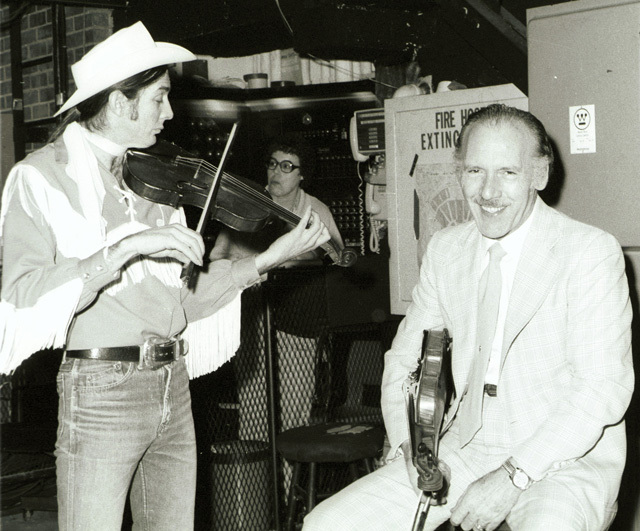 When Woody Paul, fiddler for the band Riders in the Sky, was learning to use a lasso; he treated us to many hours of practice backstage at the Grand Ole Opry. 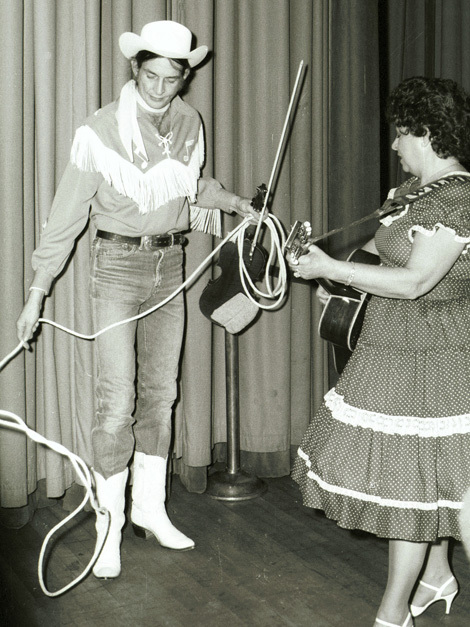 He’s demonstrating his prowess to Grand Ole Opry star Wilma Lee Cooper. Woody Paul and Tater Tate, of Wilma Lee Cooper’s Clinch Mountain Clan. I didn’t get to hear the joke Porter Wagoner was telling these boys and that is a good thing I’m sure. 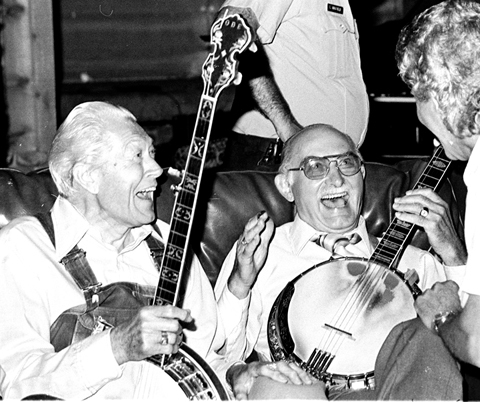 Brother Oswald and Grandpa Jones are really enjoying the moment backstage at the Grand Ole Opry.